Runes are an ancient alphabet that has been dated as far back as 8000 BCE. Although the Latin alphabet may be more efficient and practical for writing, the Runes convey much more than simple sounds and vowels; they are powerful symbols which carry great magical properties. According to Norse Mythology, Runes were gifts from the gods themselves. They radiate mana, magickal power, and can be used to deliver a blessing or a curse. Maneuver it so that the target of your spell thinks that he or she dropped this paper, or else place it within other papers that the target then picks up. The target has to accept the Rune willingly, even if they are unaware of it. 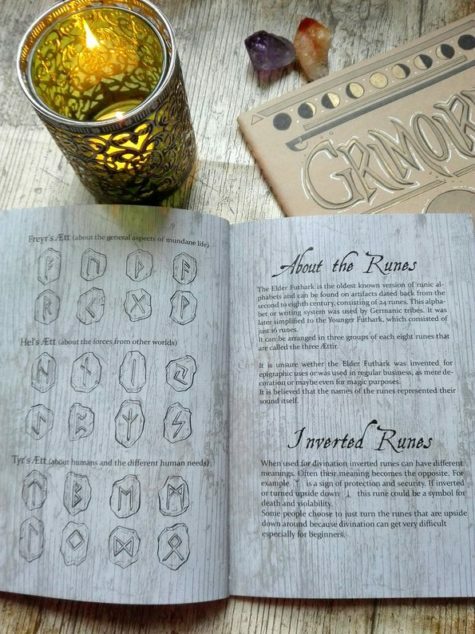 When the target takes up the Rune paper, especially if it is then placed in his or her pocket, he or she is effectively accepting the Rune – curse or blessing – whatever the case may be. This is an especially nice way to gift someone with magick on special occasions, such as birthdays, graduations, weddings, or anniversaries. 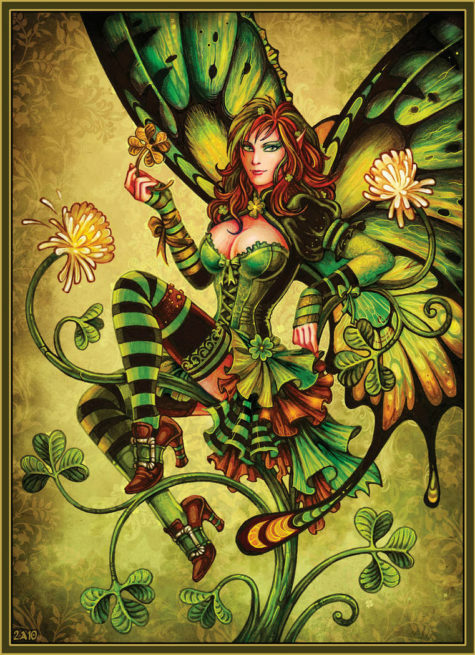 Fairies and clovers are connected in lore and legend. For this spell, you will first need to find a four leafed clover. 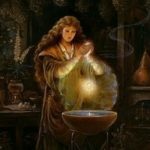 This is not always simple to do, and part of the reason the fairies will bless you with their presence is that you put forth quite a bit of effort in the search. Once you have found the four leafed clover, lay seven grains of wheat over it. 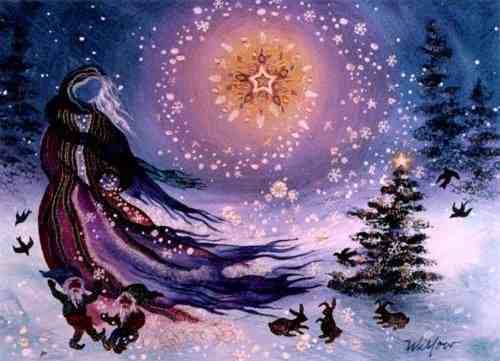 Concentrate on your desire to see or communicate with the fairy realm. If luck is with you, the fairies will appear or speak to you. If you have ever been in a situation where personal items disappear from your desk, your room, or your bathroom, then this spell for protection against mysterious disappearance or theft is for you. On a piece of cardboard, either draw two eyes or paste two eyes cut out from a magazine. Draw the shape of a masquerade-ball mask around the eyes with a thick felt marker and cut it out. Make as many as necessary to place in drawers, in bags, or on your desk. 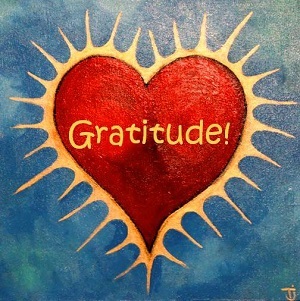 This spell uses that feeling of being watched that occurs when we are in a room or gallery with photographs or paintings that feature people with prominent eyes. 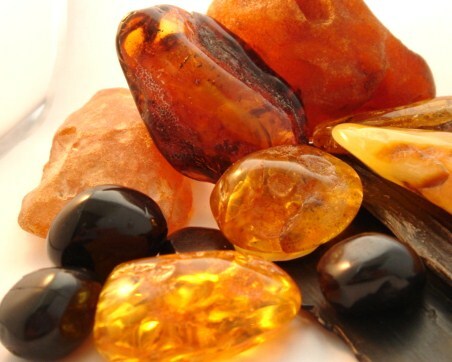 Jet and amber, crystallized botanical material rather than true minerals, work well in partnership. Beware of plastic replications of both. For sleep, cast a circle around your bed with alternating pieces of jet and amber. Alternatively, you can use a necklace. A necklace is just a circle cast around one’s self. Create a necklace from alternating amber and jet beads, focusing on your desire for peaceful, restful, healing sleep. Create as many knots as possible, tying your intentions into each knot. Wear your necklace to sleep. 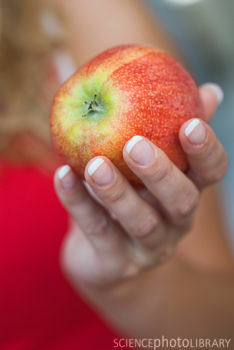 Bury the first apple by a tree, bush or flower that is outside. 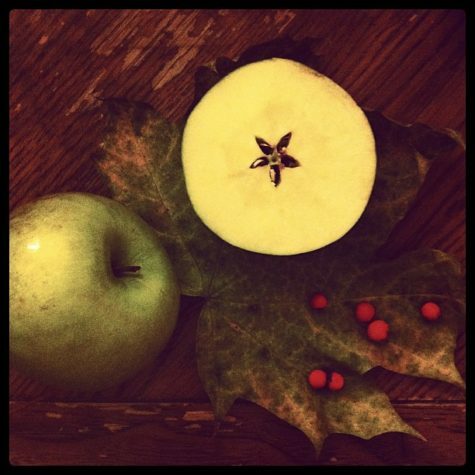 Bury the second apple by water. If you can’t find a place with water, just bury it anywhere and pour water over it. 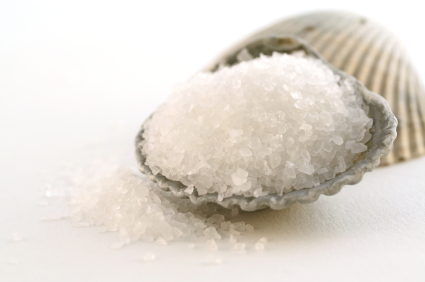 In maritime lore, seawater was thought to cleanse a person thoroughly, absorbing any bad luck, due to the salt content of the water. Throwing salt into a fire for nine consecutive days was thought to break any chain of bad luck, while throwing salt at a person was sure to bring that person grief. We all suffer from stress at one time or another, and in a workplace it is often difficult to reverse the situation. This spell can be taken to your workplace or used in other stressful situations, with minimum disturbance. For healing and magic, the earth, or Mother Earth, from whence all things spring, is unsurpassed. Add a little Borage, the flower of courage, and some of your own essence, and even the most difficult of predicaments can be overcome. Make a small bag. 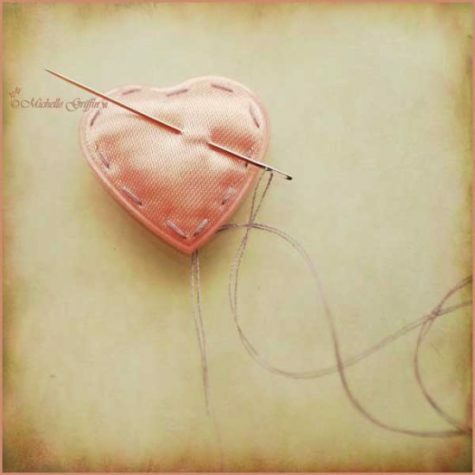 It can be very plain and simple, but it is important that you stitch it together by hand, so that you are putting your self-essence into it. The bag needs to be large enough for you to get both hands inside, with a drawstring to secure it. As a special touch, embroider your initials on it in your favorite color. 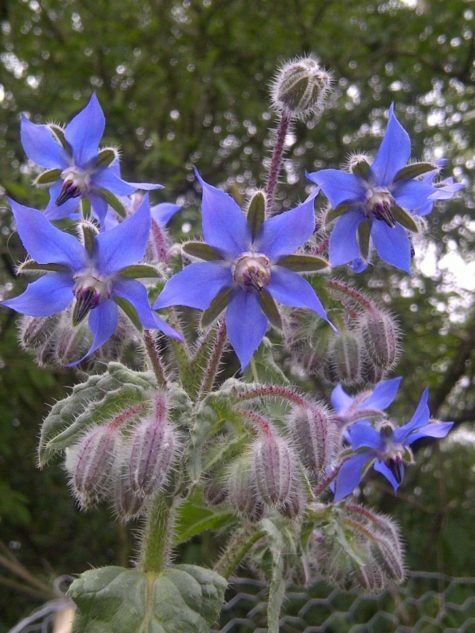 On a bright, sunny day collect a few handfuls of dry earth and some borage flowers. Feel the sun’s rays warming your body and the flowers and the soil in your hands, and store the memory carefully. Dry the Borage flowers, then place them with the earth in your bag. pull the drawstring to secure them. keep the bag in an accessible place. When things are going badly or you need a pick-me-up, it will only take a few moments to place your hands in the bag, touch the dried Borage flowers, reflect on your stored memories, and let Mother Earth work her magic.